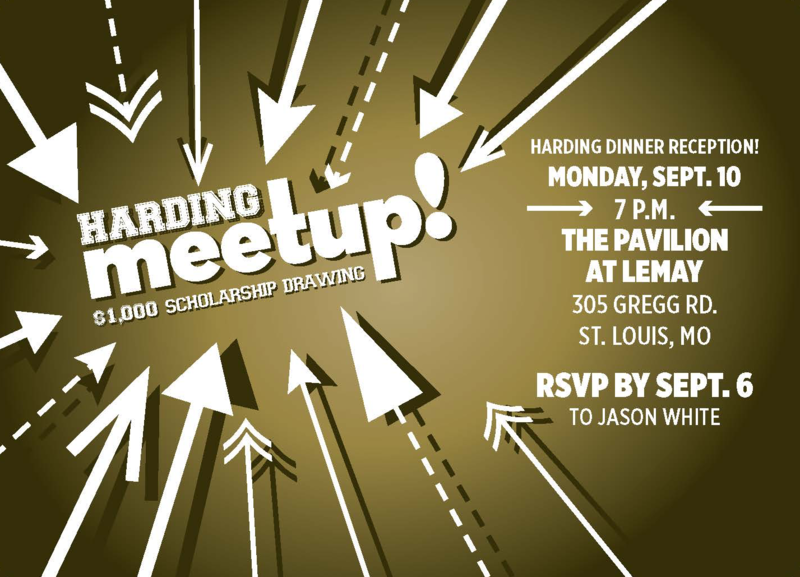 High school students, families and friends, please join Jason White from Harding University’s Office of Undergraduate Admissions at a dinner reception in St. Louis on September 10. There will be a drawing for a $1000 scholarship to be awarded to a current high school senior planning to attend Harding in the fall of 2019. Student must be present to win. Jason will answer questions about financial aid, the admissions process, and life on campus. The dinner is free for sophomores, juniors, and seniors but seating is limited! Contact Jason White at 1-800-477-4407 or jtwhite@harding.edu by Sept 6 for more information about this and other Harding events.